Southern Utah University’s Wind Symphony will present SUU Wind Symphony Stampede Concert on Friday, October 20, 2017, at 7:30 p.m. in the Heritage Center Theatre. Tickets are $10 for adults and $5 for students and children. Southern Utah University faculty, staff, and students are free with a valid ID card. Faculty and staff IDs are allowed one guest. Tickets can be purchased at the door the night of the show or online at www.suu.edu/pva. The SUU Wind Symphony is an auditioned ensemble made up of the top wind and percussion students at SUU. The ensemble is committed to the performance of the highest quality contemporary and traditional works in the wind band repertoire. Innovative concerts, adventurous programming, and high-level music-making are the hallmarks of this select ensemble. Support these amazing students as they prepare for the honor of performing at the UMEA conference in February 2018. 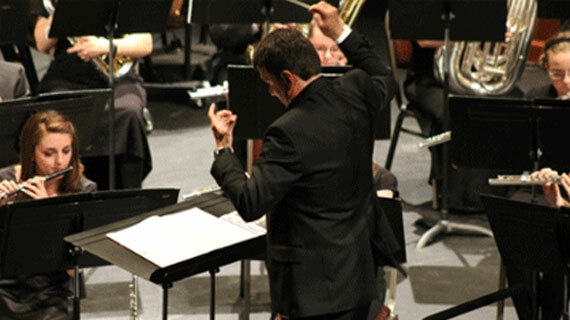 For more information about the Department of Music at SUU, please visit www.suu.edu/pva/music.